I have a stock portfolio -- NAV say $200,000 -- no sale or purchases in five years. I have a mutual fund stock portfolio -- NAV say $200,000 -- no sale or purchases by me in five years. (Mutual fund managers have of course sold and bought). I am paying capital gain taxes each year on the mutual fund portfolio because of mangers buying and selling funds -- as we know the funds capital gains seem to really jump in December before year end. Now, I would say I have a negative return on my fund portfolio each of last five years, due to federal taxation (and state). Negative return in I have received no cash money from my mutual fund portfolio. I have some investor type friends that say never buy mutual funds because of the yearly taxation on gains even if the fund owner does not buy or sell any of the fund portfolio. So I have read that compared to other forms of investments the only issue with a mutual fund is the time of taxes paid, not the amount of taxes paid over a period of time. In reading more, federal taxes may be paid sooner (if mutual fund gains accrued before purchases are realized and distributed) or later (if losses accrued before purchase offset realized gains), but total taxes paid are the same. If one ones her or own stock portfolio and does not have any sales (with gains) the one does not pay taxes until stock are sold. So, I think, it would it be better to drop out of mutual funds? It turns out that the NAV on my stock portfolio has done better in percent NAV gains than my mutual fund portfolio. So, again the question __ if I don't personally buy or sell any of my stock portfolio or mutual fund portfolio, would I be better off toe dump the mutual funds??? Ginny: An IRA online savings account will probably earn you more than a money market right now with no additional risk. I'm not sure what would be the right fit for you longer term. Generally speaking safer investments like savings accounts and CDs keep your principal safe but have a higher risk of not keeping up with inflation. Investments that have tended to exceed inflation over the long term generally are more volatile and your principal is usually somewhat at risk. 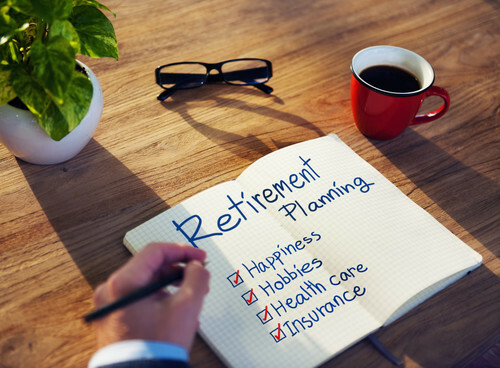 Retirement can be really long so most clients adopt some kind of mixture based on their own ability to tolerate these risks to balance the pros and cons of these 2 ends of the spectrum. You may want to hire a planner to help you figure out what kind of mixture makes sense for you specifically. www.kiplinger.comHere are seven key questions you should ask before making a fund part of your portfolio. Don, It's true that mutual funds are required to pass along their gains and losses, dividends and income to investors. That's why a lot of people choose to invest in broad-based index funds where there is not a lot of buying and selling, so you don't receive that tax hit that you do with actively managed funds. Whether or not you switch completely out of mutual funds is your choice, but remember that a foundation of a broad-based index fund will give you great diversification (like the Vanguard Total Stock Market Index) with very low fees. 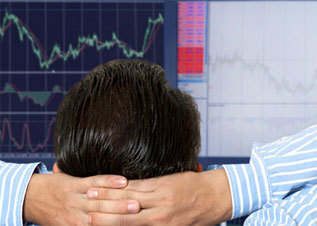 www.kiplinger.comOne of the toughest things about investing is knowing when to sell. How often have you bought a great fund and watched it perform like gangbusters for years, only to see it stumble for several more? Should you sell or hold on? Great forum-- Thanks for holding it. Thanks for being here, WTerry. Don - A couple of points. First, Mutual Funds offer diversification that is hard to replicate on your own using individuals stocks, and this cannot be discounted. Second, and admittedly this may be a bit of a stretch since I do not know the particulars, but the fund you are in may be generating many capital gains because it is actively managed. You may avoid some of the issues you are experiencing by investing in a more passively managed mutual fund. Also, there are a few tax-managed mutual funds, but tread carefully because you should also review their performance and expenses. www.kiplinger.comThe popular choice might not be the right one for you. Mft, One way to keep them completely 'seperate' is to open another ROLLOVER IRA account with your custodian and rollover your 401K funds to that account. That is perhaps the simplest and the easy do-it-yourself option. Mft - You will want to keep non-deductible assets separate form deductible assets in your IRAs to simplify record keeping. You are supposed to record and report annually your basis in the IRA with non-deductible assets so that you won't be taxed on that money when it comes out. I will be 65 in September my wife is 60. Is there a way I can claim a social security spouse benefit on my wife's record? She is the high earner in the family. Michael and Delia -- that is good thought -- the one stock fund that is giving the big taxation is a growth and income -- so I think I will either dump this one fund or 'cut i't down in terms of selling a large percent of my shares owned. Mft - you can roll it into another IRA, but if you do a Roth IRA conversion or future withdrawals you'll need to look at all your IRA accounts together to determine what the basis is in your IRA. 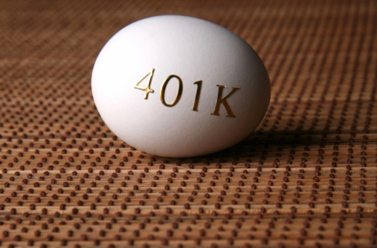 Before you roll the other 401k into a new IRA you may want to look into a Roth IRA conversion assuming you don't have other IRA assets. 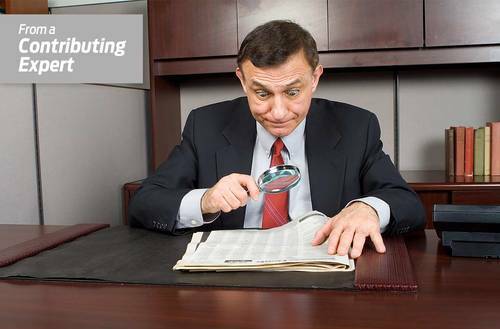 You would be taxed on the gain above basis, but would eliminate the need to keep all the basis info in the future. I'd recommend working with a financial or tax professional to see if this makes sense. Mft, although not specific to non-deductible contributions and distributions, perhaps my post below could shed some light in general for rolling over retirement monies from ex-employer. www.kiplinger.comEven as some popular strategies phase out, coordinating claims remains a critical move to maximize payouts. Don: In addition to what's been said, remember that if you sell anything you will be realizing any capital gains or losses based on how much you invested vs. what you sold it for. So remember that changing things now will probably come with a tax bill. And depending on your overall tax situation you might not want that to happen all in one tax year if you can avoid it. Maybe consider looking into ETFs or low cost index funds with a low "turnover rate" (how much they buy and sell holdings) as a middle ground. I'm worried that if you shift into stock you won't be as diversified & your risk level might be higher than you might realize. Yes, she has filed an 8606 yearly. Thank you for your advice. Karen and Nicole you are both up shortly. Thank you for your questions! Unique Financial AdvisorsWhat should I do with the retirement money that is in a plan sponsored by ex-employer? What are my options? Wow. Time flies when you're having fun. Thank you to all of the NAPFA advisers who have been with us for the last two hours. Joining us now are Mark Wilson, Michael Gibney and Russell Hall. Welcome! Last year my friend said she was not entitled to a refund from her employers. her bi-monthly checks from her employers. Now she owes tax for 2015. Hi Karen - If there was absolutely no withholding, it does not surprise me that she owed money. I would ask her to ask her accountant how much she should be withholding. If withholding it not an option, then she may have to begin paying quarterly estimated taxes. Timothy -- good advice. I am to retire in year and the RMD out of my retirement account is going to jump my yearly taxation big time. SO I better sell now -- have a good day and thanks all for advice. Great chat line with chatters! I'm working on balancing my husband's and my retirement savings. To get our assets allocated to match recommendations I'm finding everywhere. We need to move about half of our money to different funds. It seems risky to just make the transfers all at once. Am I overthinking it? Or should I make the transfers gradually over time? Hey Nicole - If these funds are all in what is known as a "qualified account", that is, an IRA or 401k then you can feel comfortable doing all at once. If they are not in a qualified account, then it is vital that you consider any tax implications of selling funds before rebalancing and you may want to do so over time to reduce capital gains taxes, if any. Thinking of investing in real estate- agi above 150K - I know I do not qualify to take passive losses, but can I take deductions down to zero? For example could I deduct mortgage interest, real estate taxes, repairs, etc. down to zero, or am I excluded from deducting anything that is considered passive? Thank you. Hi Nicole, I'm assuming from what you said that these transfers will move a lot from bonds or cash to stocks? If that's the case, yes you may want to stretch the purchases out over time (we call this "dollar cost averaging") so there's less risk buying a lot of stocks just before a market drop. Nicole - I'm glad you are reviewing and making allocation changes. If you are concerned about the timing, you may consider "averging in" your changes over a few months. In other words, instead of moving 50% today - move 20%/15%/15% over the next three months. Right- However, since her checks were direct deposits only, she did not notice that no funds were deducted from her pay. So for her W-2, which withholding option should she select to avoid paying extra taxes in next tax year? The funds are in IRAs and 401Ks (built up over the last 13 years...we're in our late 30s) and I would be moving the money between mutual funds (nothing is sitting in cash or in individual bonds). We have paid in gradually over time so we've taken advantage of "dollar cost averaging". Thus, why moving it all so suddenly (143k of our 213k portfolio) seemed risky. We are particularly heavy on Small Cap and almost no international so those are two biggest areas of movement. "Averaging In" makes sense to me. Given the additional information, does splitting it up over 3 months still seem reasonable? Karen - This depends on her income level. If she uses an accountant, they would be the best person to ask. If she prepares her own taxes, then look at the tax tables available on line and choose a percentage that closely matches her income. Hi Gary Z., thanks for the question, but I think you would need to consult with a tax professional (which we are not here). Sorry! Nicole - There is an argument within our industry about the benefits of dollar cost averaging vs. fully funding a well-diversified portfolio (wade vs. plunge.) If you will be investing in a very well - diversified portfolio, then doing so all at once may make sense. If you are not so diversified, then dollar cost averaging over a period may benefit you. Nicole, my opinion is that you are thinking about it correctly. If it were me, I would probably plan to move it in over 6 months (so about $24,000 per month, or over 10% of your portfolio). If we get a big market drop and you are comfortable taking the risk, you could always speed up the schedule or put in a bigger chunk. Elaine - FICA taxes are due on payments from non-qualified retirement plans. Some companies take care of these taxes when the money is deferred (which is usually better tax wise for you), some allow you to pay these taxes when you get the payments. I'd contact the company or deferred compensation provider to find out how they've handled this plan. You obviously don't want to pay these taxes twice. Mark, Russell, Michael - Thank you so much for the information. Nicole - You bet. Kudos to you for addressing it.